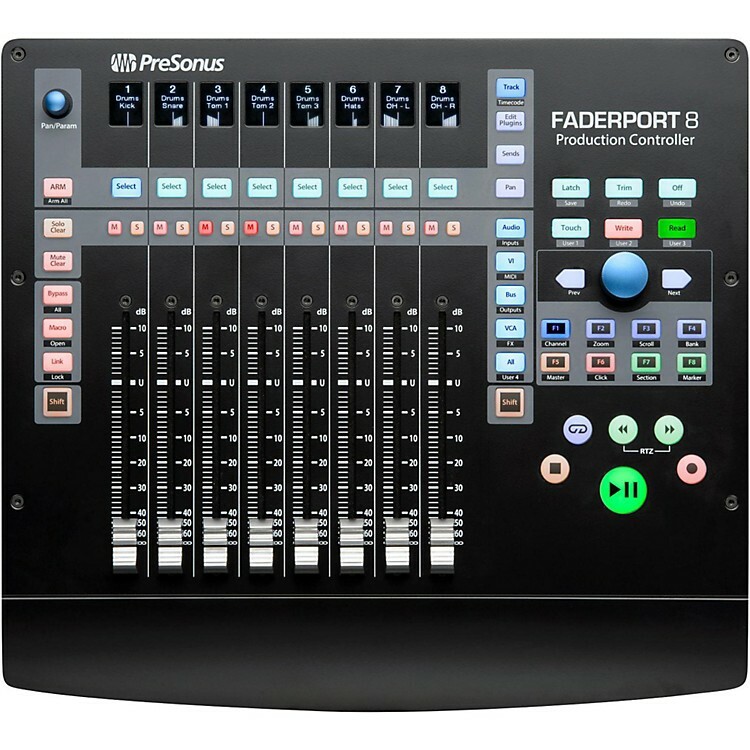 The FaderPort 8 features eight 100 mm motorized, touch-sensitive faders; digital scribble strip displays; and a unique Session Navigator to make mixing and controlling your favorite DAW application quick and easy. The FaderPort 8 is compatible with virtually any DAW host for Mac OS X or Windows, with support for HUI and Mackie Control and native control of Studio One, including Control Link support as well as parameter follow, allowing you quick access to any control under your mouse. Its ergonomic design makes it a comfortable companion to your keyboard and mouse.